The Odisha cabinet Saturday approved 12 proposals, including the land grant policy 2015, for allotment of government land in Bhubaneswar in order to ensure comprehensive development of the city. The policy will facilitate creation of essential infrastructure and amenities, promote the ambiance of the city and balance the interests of different organisations and individuals in need of land in the city, chief secretary G.C. Pati told reporters in Bhubaneswar. The policy will look into the land required for housing by statutory authorities like Bhubaneswar Development Authority (BDA), Odisha State Housing Board (OSHB) and other bodies. Land carved out into suitable sizes in the capital city for residential, commercial and institutional purposes will be given through auction, said Pati. The cabinet also agreed to have a Rs 100-crore corpus fund for pre-positioning of fertilisers in the state to provide it to farmers during the Kharif and Rabi seasons. “The major stumbling block in improving fertiliser consumption is the availability of fertilisers at the right time and right place. 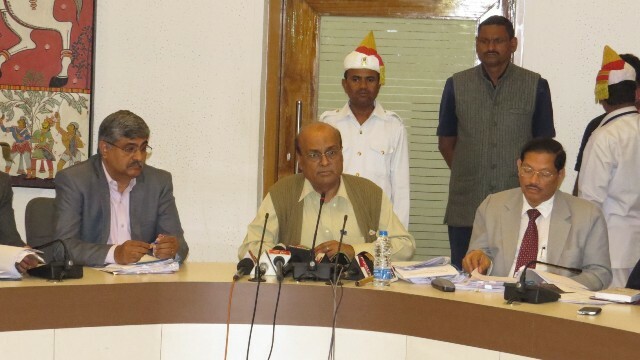 Odisha State Co-operative Marketing Federation (OSCMF) and Odisha Agro Industries Corporation (OAIC) will be involved in procurement and supply of fertilisers to the farmers through the corpus fund,” said Pati. The corpus fund will be shared on a 75:25 basis by OSCMF and OAIC respectively for pre-positioning of fertilisers within the state. The chief secretary also said the cabinet gave its nod for creating a corpus fund of Rs 100 crore for pre-positioning quality seed and planting materials by the institutional agencies and supplying them to farmers on time. State agencies Odisha State Seeds Corporation Ltd (OSSC), OAIC and Odisha State Cashew Development Corporation Ltd (OSCDC) will be involved in this to ensure adequate quantity of seeds and planting material for the farmers.